Here’s the full list of 2018 Dow 30 Stocks and their returns in 2018. 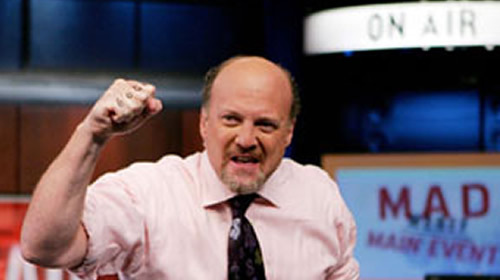 Jim Cramer of Mad Money fame provides a great FREE service to everyone. He manages a Charitable Trust Portfolio of stocks that are viewable by the public, meaning you can see what he is investing in. He often holds several Dow stocks in that portfolio. Click here for the latest Charitable Trust Portfolio. Dow stocks at 52 week highs include Cisco (CSCO), Disney (DIS), McDonald’s (MCD), Microsoft (MSFT), Procter & Gamble (PG) and Visa (V). There are no Dow stock 52 week lows. Premarket today, the Dow was indicated to open up +160 points. Monday the Dow was down -27.53 (-0.10%) at 26,384.77. Year-to-date the Dow is up +13.11%. There were 16 Dow stocks up Monday. The Dow stock winners Monday were led by UnitedHealth (UNH) +3.13%, Disney (DIS) +1.52% and Walgreens (WBA) +1.48%. The Dow stock losers Monday were led by Goldman Sachs (GS) -3.82%, JPMorgan (JPM) -1.14% and Merck (MRK) -1.13%. Johnson & Johnson (JNJ), UnitedHealth (UNH) and IBM (IBM) all reported earnings today. See earnings section below. The national average price of gasoline is up one-tenth of a cent at $2.831 per gallon. Goldman Sachs (GS) reports earnings on 4/15/201 before the market open of $5.71, beating estimates calling for $5.243 per share. Johnson & Johnson (JNJ) reported earnings on 4/16/201 before the market open of $2.10, beating estimates of $2.064 per share. UnitedHealth (UNH) reported earnings on 4/16/201 before the market open of $3.73, beating estimates calling for $3.63 per share. Chevron (CVX) reports earnings on 4/26/201 before the market open. Exxon Mobil (XOM) reports earnings on 4/26/201 before the market open. Verizon (VZ) is up +4.43% year-to-date. Dow stocks at 52 week highs include Cisco (CSCO), DIsney (DIS), McDonald’s (MCD), Microsoft (MSFT) and Visa (V). Dow stock 52 week lows include UnitedHealth (UNH). Premarket today, the Dow was indicated to open down -8 points. 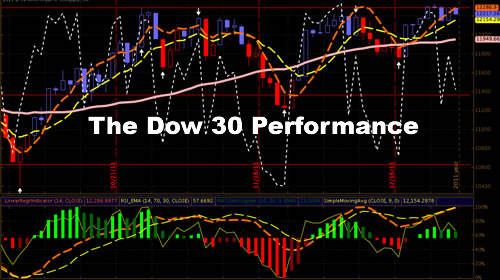 Friday the Dow was up +269.25 (+1.03%) at 26,412.30. Year-to-date the Dow is up +13.22%. There were 24 Dow stocks up Friday. 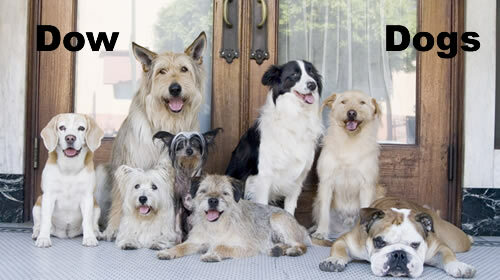 The Dow stock winners Friday were led by Disney (DIS) +11.54%, Dow (DOW) +6.21% and JPMorgan (JPM) +4.69%. 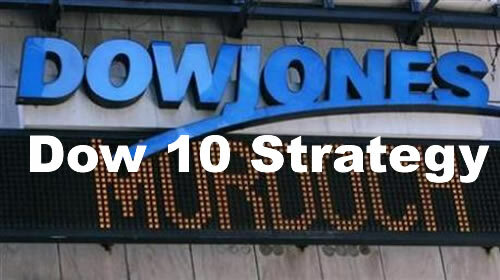 The Dow stock losers Friday were led by UnitedHealth (UNH) -5.18%, Chevron (CVX) -4.94% and Pfizer (PFE) -1.32%. Goldman Sachs (GS) posted first-quarter profit that beat analysts’ expectations as the bank reined in compensation, while company wide revenue missed on tougher market conditions for two of the firm’s main divisions. The bank generated $2.25 billion of profit in the period, or $5.71 a share. Revenue dropped 13% to $8.81 billion on lower results in the bank’s Wall Street trading and investing and lending segment, below analyst’s $8.9 billion estimate. Shares were down 1.7 percent in premarket trading. Johnson & Johnson (JNJ), UnitedHealth (UNH) and IBM (IBM) all report earnings tomorrow. See earnings section below. The national average price of gasoline is up three-tenths of a cent at $2.830 per gallon. UnitedHealth (UNH) is down -10.40% year-to-date.